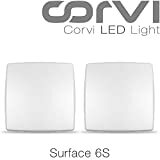 LED lights have gained a lot of popularity in the recent times. Suddenly there are many options available, both branded as well as unbranded and with large price differences. Hence balancing brand and price makes the decision a difficult one. It is even more complex when it is for a residential society where your decision can be questioned by many. We witnessed such a purchase decision and because it was a very interesting case, we are sharing it with everyone. We hope that if you are in similar position you will be able to take lessons from this study and benefit yourself and your society. While buying a place to live, many of us are attracted by the vibrance that a building offers. These days most residential complexes coming up in Mumbai are categorised as luxurious or super luxurious. Brightness of lobbies and corridors adds to the grandeur of the building and many people are drawn into buying an apartment in that. However while setting up the lights, builders rarely consider the electricity efficiency or amount of lighting as a factor while putting up the lights. The decision on type, number and kind of lights is driven by the bulk deal they are getting on the luminaire or on the existing stock they have. We happen to be in one such building where all of 16 floors had 88 T8 (each 45 watts) tubelights (4 per floor between 8 flats and 3 between 2 floors on staircase), but the lobby only had 140 T8 (each 45 watts) tubelights + 8 Metal Halide (80 watts) parking lights. The lobby just dazzled when all the lights were put on (which was mostly the case). No one had any complaints till the electricity tariffs skyrocketed and electricity bills were difficult to manage. We knew that we had to go for LEDs as they are the most efficient solution and even the usage of lights was high at about 12-14 hrs a day (to justify the costs). But the solution was not straight forward. As per market standards, a typical T8 light of 4 ft and 36 Watts is replaced by 18-20W LED 4 ft tubelight. A consultant in this field will advise to replace 36 Watts tubelights with 18W LED tubelight. To a great extent they are right as 36 W T-8 tubelight (or even 28 watts T5 tubelights) have output of 2600 lumnes. And 18-20 Watts tubelights have output of 2000-2200 lumens (which is good enough). But the solution would be right only when the use of 36 watts (or 2600 lumens) is justified for a given application/task. The floor lobby area where we had 4 T8 tubelights was narrow and small. When the T8 tubelights were put originally, the lighting was much more than required. However with time the output of fluorescent tubelight reduced and they looked much dull now. Also with time they were consuming 45 watts instead of 38 watts (with electronic choke). We replaced the tubelights with 2 ft 9W LED tubelight and the luminance was the same. Suddenly we had a solution that saved 80% electricity!!! The cost of 9W 2ft LED tubelight was much less than 18W 4 ft tubelight. And with tariffs in Mumbai we realized that with the replacement we will be saving Rs 100 per month on each tubelight!! We had a game changer in hand. Next we went to the main lobby (not the floor lobby) on the ground floor. This place was full of tubelights (140 in all) and parking lights. The worst thing was that the builder had put metal halide (80 watts) parking lights in the lobby where standard 23 watts CFL would have been sufficient. It may have been done because they would have purchased parking lights in bulk and they wanted to give a grand look to the lobby. However a simple solution would have worked equally well. Now we had to maintain decent lighting in the lobby as most residents wanted it (well people had paid for a grand lobby while buying the flat, so maintaining it was a must!) and thus management committee wanted to have good amount of lighting. We decided to replace only 60 of the 140 tubelights. But this time with 18 Watts T8 retrofit LED (retrofit LED is one that fits in the existing fixture or frame). The 80 Watts metal halides were replaced with 18 W LED down lighters. Although 18W LED downlighter is not used as parking light and any consultant would not recommend changing 80 watts metal halide with 18 W LED downlighter, but the application was not for parking light and thus 18 Watt LED downlighter worked well for us. The Dilemma: Where to buy and how much is the cost? And how to identify good one? Branded LEDs were quite expensive and had less warranty. Un-branded were giving LEDs for very cheap and had longer warranties. So a 9W 2ft tubelight from a good brand was costing about Rs 1100 a piece, where as unbranded was available for as low as Rs 400! Branded one was offering only 1 year warranty, whereas unbranded were ready to give 3 years warranty! Dealers of branded LEDs were less keen for a low value order (yes even an order of about Rs 1 lakh was of low value for them), whereas unbranded ones were super proactive. Now we had a deal from a dealer which was too good (and by a great extent unbelievable). We were getting 9W tubelights (with frame) for Rs 450 with 3 years warranty on them! This was difficult to digest because 2 ft T5 tubelights (most efficient fluorescent lighting solution) costs about the same and comes with only 6 months warranty. And here we had a solution which was as cheap as a T5, had more warranty than T5 and more energy efficient!! We got the list of customers that the dealer had served to get some references. Interestingly he had been in LED business for 4-5 years and had some big names as references!!! Dilemma increases! The dealer was not just a dealer but a manufacturer and had ISO certification and also LM-79 and LM-80 certifications (more on these certifications later on this article). He was ready to have us test the tubelights on site (although this was encouraging, but we hardly had testing facilities to do so!!). All LEDs need a good heat sink as beyond 60 degrees centigrade, LEDs start failing. If heat sink is not designed properly, LEDs will die soon. Although it was difficult to test the same, the easy workaround suggested was to check if the aluminium casing of the luminaire was heavy and good. A bad LED will have light aluminium. A good LED luminaire should have a power factor greater than 0.9. If you have a meter that can check that, it would be good. A good LED luminaire should have good efficiency of 100-110 lumens/watt. So a 9 W LED should have had 900-990 lumens output. If the luminaire has LEDs of Osram or Edison make then they will last longer. Please note most manufacturers in India are just assemblers. They get branded LEDs and drivers and assemble them in India. At times the drivers are made in India as well. As long as the brand of LED is Osram, Edison or Samsung, they will run well (Osram being the best). Finally one friend said that a decent 9W LED luminaire should cost you about Rs 600. Till recently there were no standards and certification for LED. But recently EPA (Environment Protection Agency) has come up with LM-79 and LM-80 certifications that are provided to LED luminaire that satisfy all technical requirements for quality. These requirements include the ones mentioned above (and more). However these certifications are awarded by testing samples of manufactured luminaire and not each and every unit that is manufactured. Now it is said that a good quality LED should last about 25 years. But frankly the LED luminaire technology has not been out there (commercially) to justify that a good quality one will last 25 years! However it is a great technology that has to go through the test of time, and is highly likely to succeed. But the best we could do was to contractually get the best deal so that we get our payback (returns of money invested) and we save some on it. We were getting a deal for 9 W luminaire at Rs 450 with warranty of 3 years. And our savings per month was Rs 100! The deal was done because even if the LED was of bad quality and lasted only few months (which should not be the case and we also had 3 years warranty), we would recover the money invested. Because frankly, we did not know if the expensive ones will last longer or not! The bet was safe and the deal was done! Hope you did get some pointers out of this case study that can help you in your next LED purchase. Abhishek Jain is an Alumnus of IIT Bombay with almost 10 years of experience in corporate before starting Bijli Bachao in 2012. His passion for solving problems moved him towards Energy Sector and he is keen to learn about customer behavior towards Energy and find ways to influence the same towards Sustainability. More from this author.